Many chess players focus their attention primarily on the opening and the middlegame. 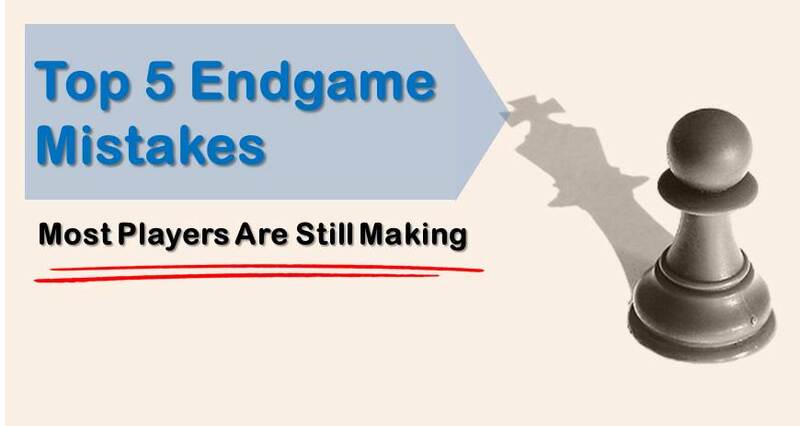 Little do they know, that endgame is something that can bring their chess to the next level. 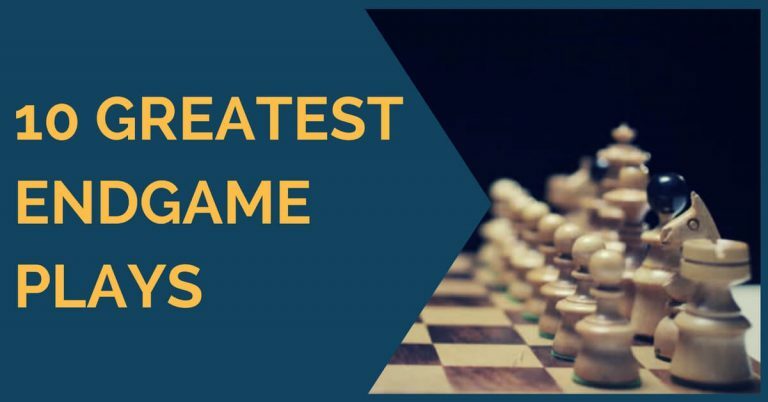 Because endgame involves far less pieces than opening or middlegame, it is a phase of the game that can be mastered by a player of pretty much any skill level. 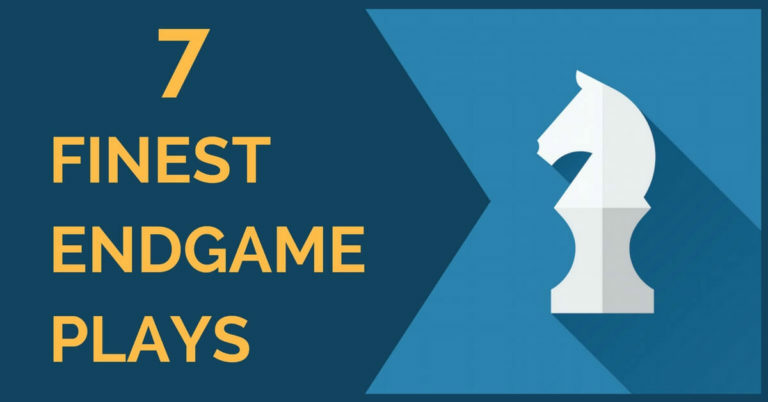 Today we will learn seven most important principles of endgame that all chess player should know. This is by far the most fundamental endgame rule. Surprisingly many amateurs neglect this important principle often missing a big opportunity to win or draw the game. The idea of centralizing the king is rather simple. In the endgame, when majority of the pieces are gone, the king becomes a powerful weapon and should actively participate in the game to support his own pawns and piece as well as to attack the opponent’s ones. The first step of your thinking in any endgame position should be how to centralize your king quickly and efficiently. In the position below white has serious advantage because they centralized the king three moves earlier than black. This is a pretty straightforward rule to understand. If you up a pawn, with pieces on the board the position may still be ambiguous. However, if you simplify the position further by taking pieces off the board, the extra pawn will immediately play a greater role and can even decide an outcome of the game. In the position below white is up a pawn. That’s why it is a good idea for them to trade the minor pieces. By forcing that exchange white will be able to easily take advantage of the extra pawn, winning the game. You should be very careful about exchanging pawns in positions like shown above. In the extreme situation, after exchanging all of the pawns you will end up in a Knight + Pawn vs. Knight endgame which may easily end in a draw, because black will simple give up his knight for a pawn. To avoid this scenario, if you up some pawns, exchange pieces, not the pawns. Opposition is a powerful endgame technique. It is commonly used to force the opponent’s king away from the pawns, giving up control of the key squares. Generally, a side that holds an opposition has a positional advantage, often winning or drawing the game. Position below is the most classical example of the opposition. If it is white’s turn to move the game is drawn, because white cannot penetrate black’s position without advancing the pawn. If it is black’s turn to move, black needs to give up space and loses. In other words, the side that holds an opposition has some sort of advantage which is enough to win or save the game. In the endgame package of our comprehensive training course we focus extensively on the most important endgame elements of chess. One of these elements is, indeed, the opposition. To learn how you can fully employ this powerful weapon to win and save endgames we suggest you to sign up for our training course. It already helped more than 1,000 chess players around the world to achieve their chess goals. Don’t wait; you may be the next champion! Knight is a short range piece and it has especially hard times in the endgame positions involving passed flank pawns. For example, in the position below black’s knight cannot stop the passed rook pawn due to knight’s low mobility and inability to reposition itself into a better defending position on time. This is another very important rule to remember. Many amateur players disregard this simple rule placing the rook in front of the passed pawn and then have trouble converting the advantage. Don’t make that mistake and always remember to place the rook behind the passed pawn. This placement of the rook supports the pawn all the way through the promotion square and also makes it possible to threaten the opponent’s king or pawns from the safe distance. You should also keep this rule in mind when you’re attacking opponent’s passed pawns. By placing your rook behind the opponent’s passer, you control the pawn all the way through the promotion square making it much harder to defend. In the position below white has placed his rook behind the passed pawn and supports it all the way to the promotion square. Creating a passed pawn should be one of the priorities in the endgame. Passed pawn possesses a large value due to the possibility of promotion. In fact, a passed pawn is so valuable that if it reaches the 7th rank it is worth a rook. It is especially easy to create a passed pawn if you have a pawn majority on one side of the board. In the example below, white can easily create a passed pawn by first exchanging the b-pawn on the opponent’s c-pawn and then exchanging off the opponent’s b-pawn. If you have a minor piece for a rook (aka exchange down) you should save the remaining rook, since this is the only piece that can guard open files and ranks. Without this piece your position will collapse and the pawns will fall. In the position below black is exchange down. White offers a rook trade, but black wisely rejects it attacking white’s weakness the backward b-pawn. With a correct play black has a good chance to draw this position. That’s a good one! In other words if you’re down in material don’t trade pieces. There is an exception though. You should trade pieces if your opponent will end-up with King+Minor Piece drawn endgame. You left out one of my favorite admonitions, Never trade off your last piece if your opponent still has a remaining piece after the exchange.